Kids love rainbows. They're pretty, they're colourful, and they're a little bit magical. 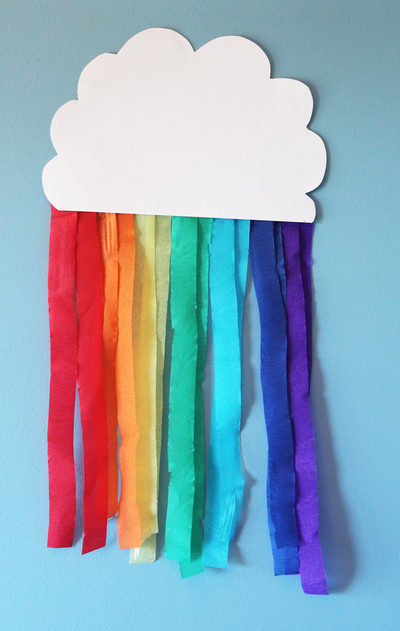 These streamer rainbows make a great backdrop for a rainbow themed party, but you can also just make them and hang them around the house for fun. First start by cutting out your cloud. 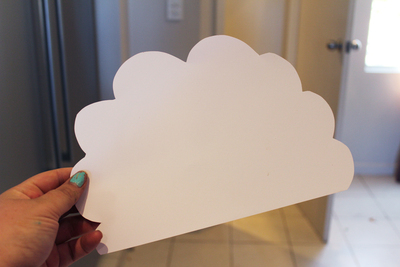 You can draw the cloud first and cut around it, cut freehand, or use a template like this one from Zoe's Craft Blog. 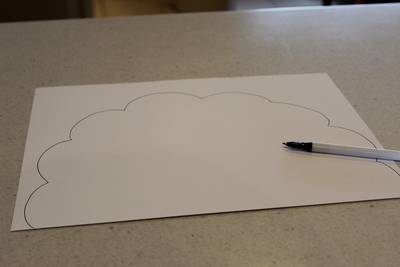 I like having a straight line at the bottom of the cloud, but you can use any cloud shape you like. 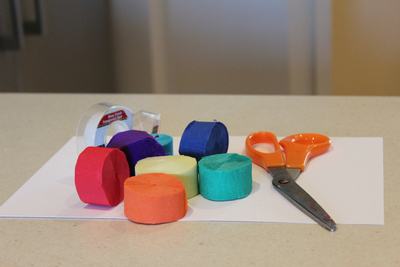 Next cut your streamers. 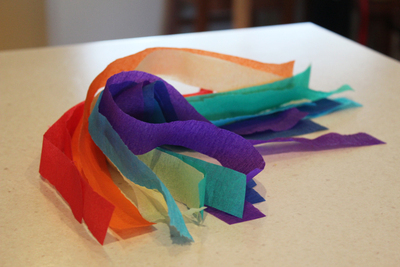 Depending on how big your streamers are, you might want to have two strips for each colour. If you want rainbow colours then you want red, orange, yellow, green, blue, indigo, and violet, or colours similar. 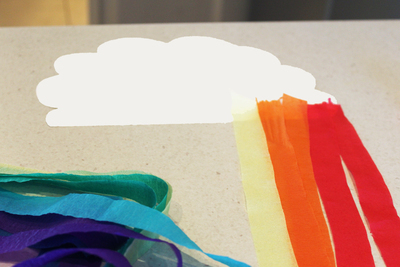 Turn the cloud the other way round, and start taping the strips of streamer to the back of the cloud. Add your colours backwards so that they'll be in the right order when you turn the rainbow around. 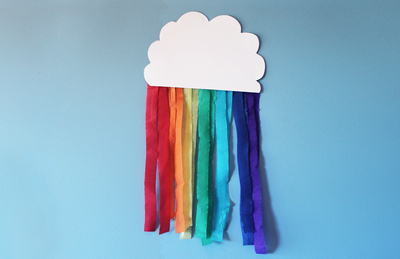 If you're making these with younger kids you can try replacing the clouds with half a paper plane. 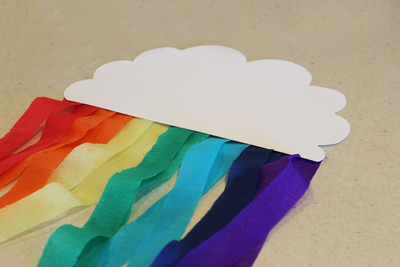 That way you can focus on sticking on the streamers without having to worry about cutting out clouds. Do you grow your own fruit at home?